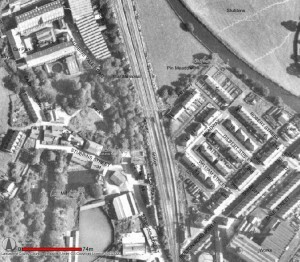 When building the extension to Ramsbottom which has included more of Ramsbottom Cricket Club, Ramsbottom Paper Mill, Kenyon Street, Stead Street, Harrison Street, Water Street, Cuncliffe Street, Factories, Mills and the Soap Works, We managed to come across a website thanks to one of the East Lancashire Railways Pway Gang Members a website called Lancashire Open Mario which lets you see streets in Birds Eye View, Aerial View, Street View, OS Maps, 1940s Aerial Views and 1960s Aerial Views. 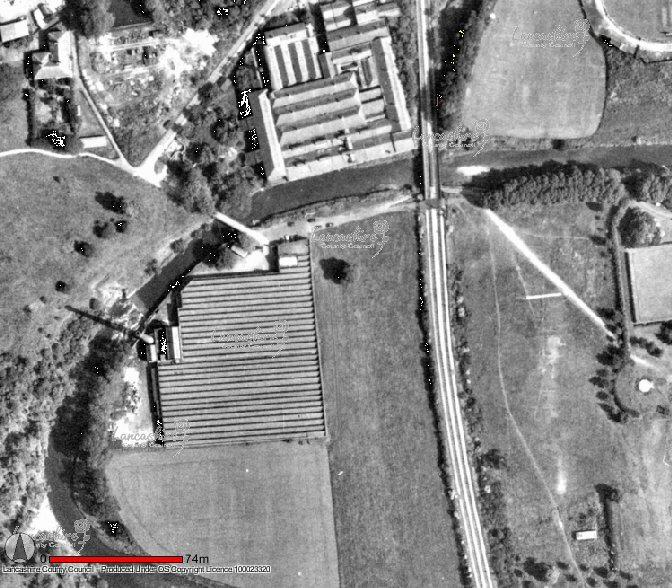 The 1960s Aerial Views came in handy all of the extension and gave us a vision to what the layout extension should look like. 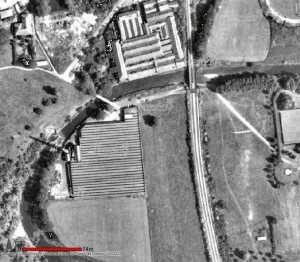 We even managed to go into some of the areas and take some pictures. This view shows Square Mill which is now where the TNT Depot is located. 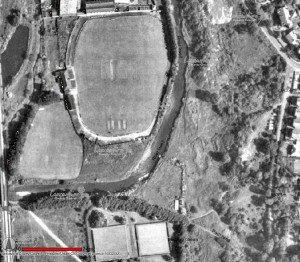 The road on the left is Railway Street with the railway line on the right and the home of Ramsbottom United FC to the right of this. This view shows Ramsbottom Cricket Club to the bottom left is where Ramsbottom United Fc are located. This view shows most of our extension in one shot. 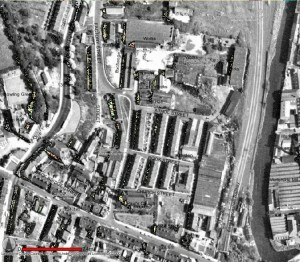 Here you can see Kenyon Street, Stead Street, Water Street, Harrison Street, Cunliffee Street, all the mills and factories including the Soap Works to the top of the picture. 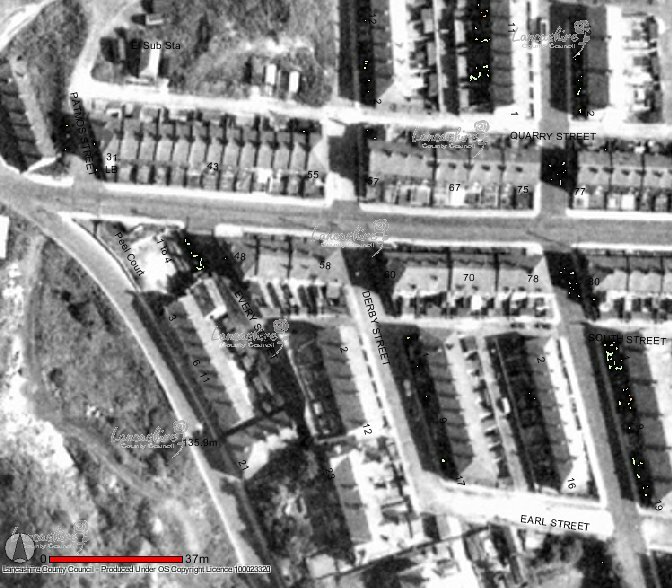 This view shows where Bury New Road and Peel Brow meet one another. 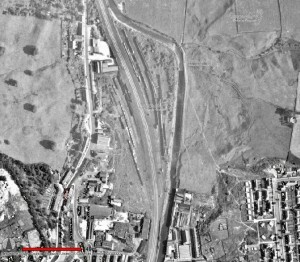 You can also see where the Old Patmos Church once stood which means it must of been cleared around 1960s. The little building behind the row of houses at the start of Bury New Road is our Club House. 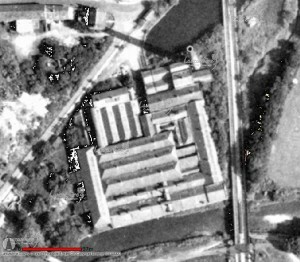 This views shows Ramsbottom Station complete with Goods Shed and Sidings for the Paper Mill. 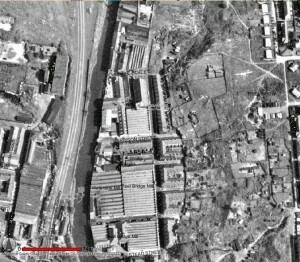 In the view you can also see Ramsbottom Paper Mill, Railway Street, Bridge Street, various mills and factories. This view shows the village of Stubbins. 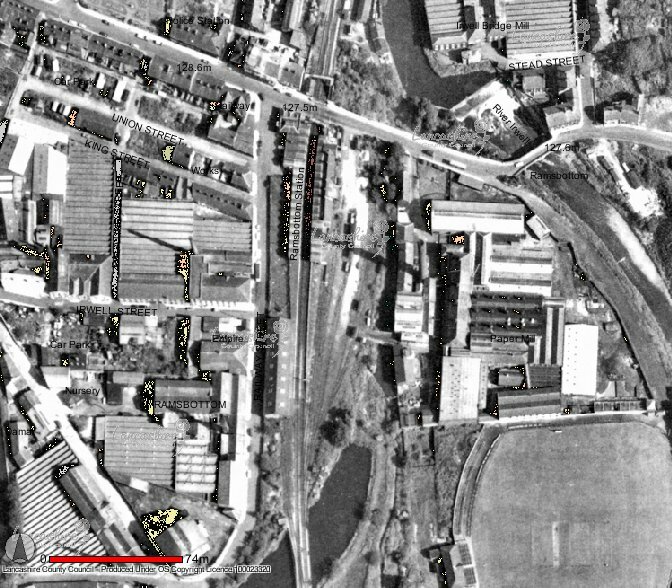 In this view you can see Stubbins Station, Railway Inn, Bolton Road North with the Gas works just out of view in the left hand bottom corner. 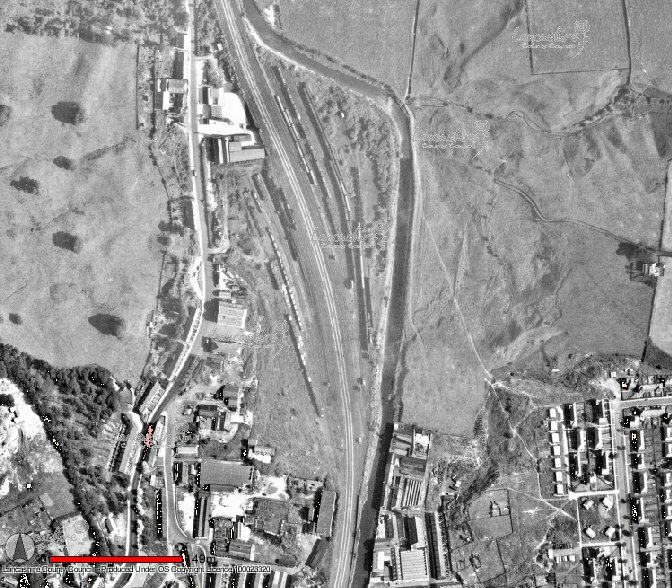 This view shows Ramsbottom Sidings that were located to the North of Ramsbottom. 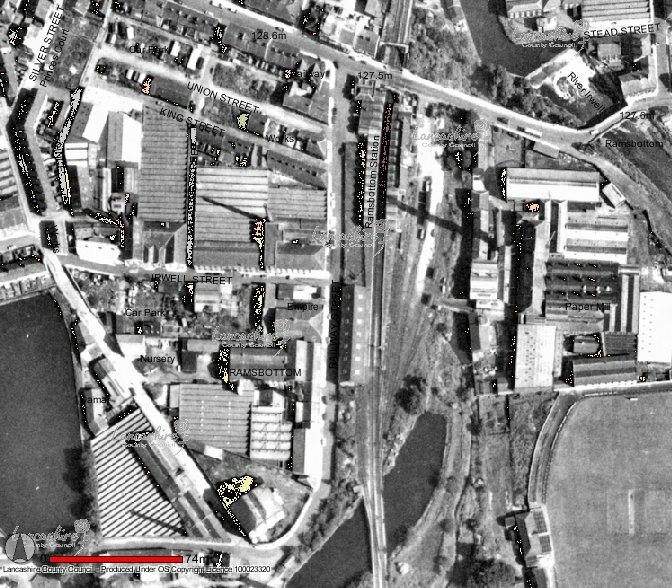 These included around 50 sidings and marshalling loops for local businesses. The road on the left is Ramsbottom Lane/Stubbins Lane which leads into Stubbins. 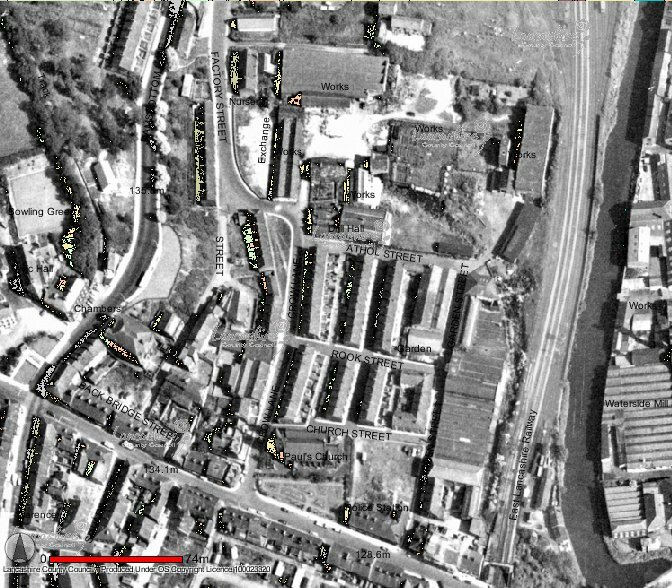 This view shows Ramsbottom Town Centre with Bridge Street, Gardens Street, Church Street, St Pauls Street, Rook Street, Athol Street, Factory Street, Crow Lane, Ramsbottom Lane and Stubbins Lane. 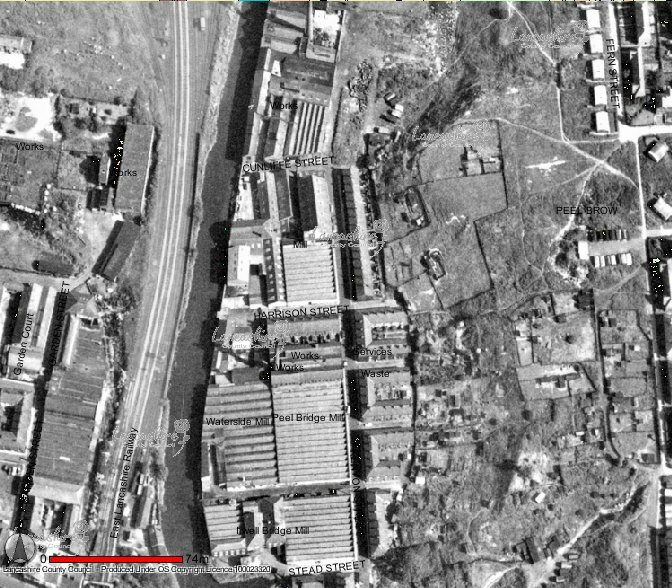 You can clearly see the rows of terrace houses, factories and Wagon repair works in the bottom corner. This view shows Holme Mill in Ramsbottom which is now the home of Cormar Carpets. 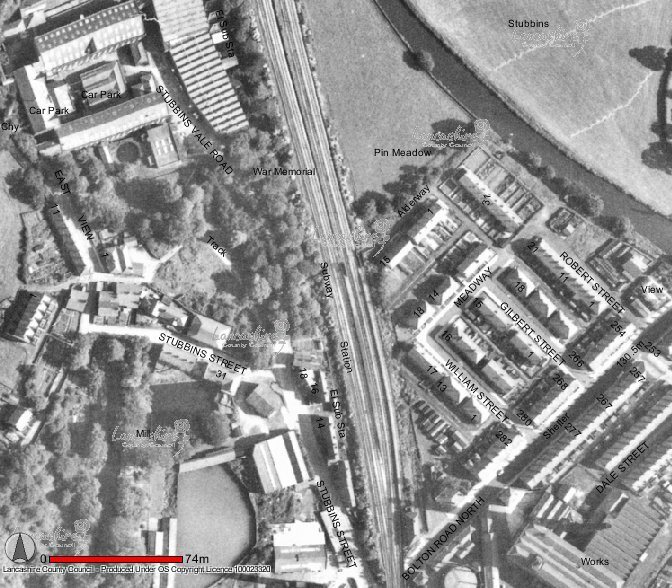 To the right is Nuttall Park with Square Mill to the North.